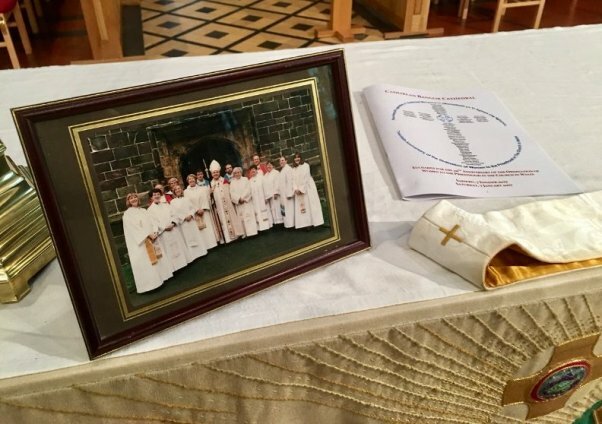 Five years ago today, I wrote a blog-post to mark the fifteenth anniversary of my ordination to the priesthood. I was still pretty new to blogging and this seemed to me a good opportunity to capture some of the memories of that eventful and historic time and tell a story which deserves to be remembered. This year the Church in Wales decided to mark the twentieth anniversary of these first ordinations with simultaneous services in all six Welsh cathedrals. We live at the very southern tip of Bangor Diocese, so on Saturday morning DH and I set off bright and early to drive the 85 miles to our cathedral. Normally we would have revelled in the glorious scenery through which we were travelling, but sadly that morning it was almost completely shrouded in thick Welsh mist. Nevertheless we arrived in good time and at 11am the service began. Of the original nine ordained in Bangor all those years ago, only I and three others were able to be there. One had died, one was ill, and two had moved out of the diocese, while the last was unavoidably absent. 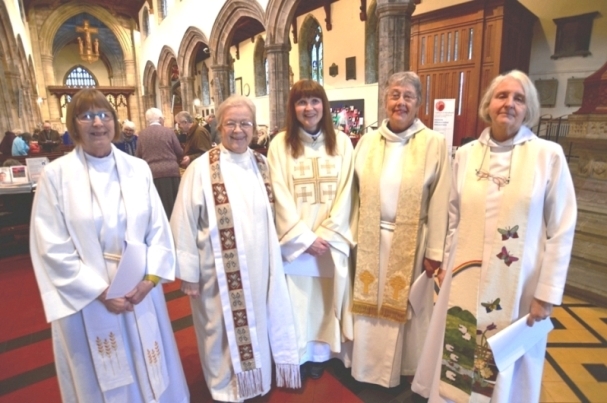 However we were strongly supported by the presence of many of the women ordained in the diocese since that momentous first ordination and we rejoiced in the fact that the new Dean of the cathedral, who presided at the Eucharist, was one of the original nine ordained in 1997. 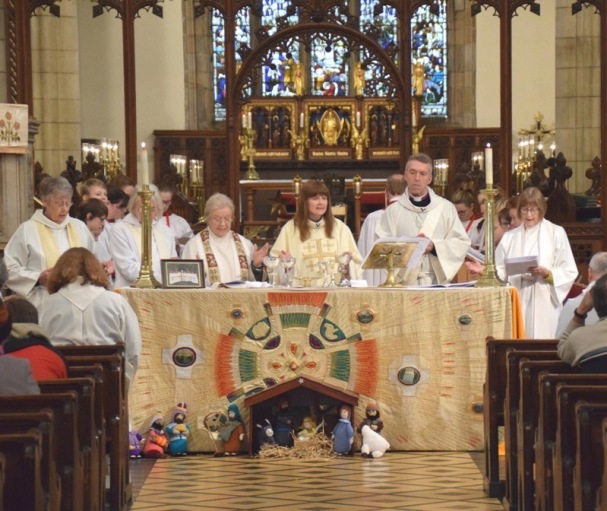 Our bishop relinquished his normal position to act as deacon to the women who led the service and our preacher was an old friend from the campaigning days of the mid 1990s, who gave us a sermon by turns thoughtful, inspiring and amusing. The cathedral choir sang sublimely as always and the proceedings were filmed by BBC Wales who had also covered the service twenty years ago. As we met up with old friends after the service and exchanged reminiscences, it was hard to believe so many years had passed. 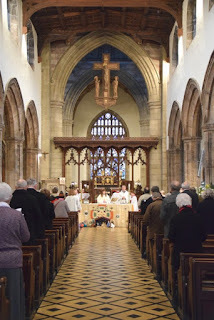 The following day I led the service at the same church where I had celebrated Holy Communion for the first time 20 years before and, thankfully, still with many of the same faces in the congregation. Now, as I reflect on the past weekend and the twenty years since the events it commemorated, I am filled with gratitude for the people I have known, the work I have been enabled to do and the deep enjoyment and satisfaction it has given me. 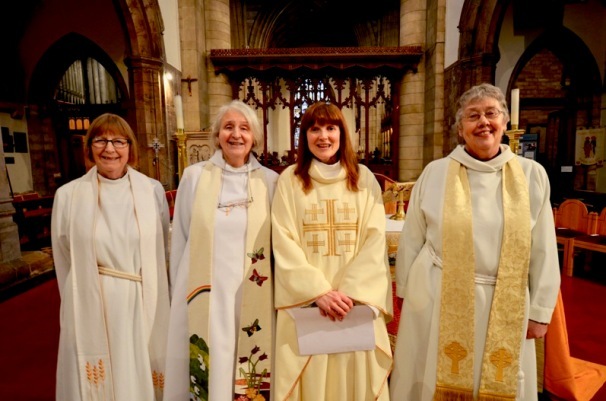 And as I look forward to the consecration next week of the first woman to be elected bishop in the Church in Wales, I am filled with hope and encouragement for the future. Gratitude and hope – who could wish for more? Celebrating the Eucharist together, led by the Dean - and yes, it's still the Christmas season. The final procession - cathedrals love processions!